Wow. Sam Adams. Been a bit, huh? Seriously, the last time I touched upon a Boston Beer Company brew on this blog was over two years ago. Which isn't to say I haven't had any Sam Adams since then. I've actually had a lot. When we visited Michelle's parents for Christmas last year, for example, her dad picked a winter variety pack that we split--all good beers. In fact, today's beer comes from Sam Adams' fall variety pack. I'd seen the beer featured in the same pack last year, but at the time I couldn't bring myself to pick it up because I was still paying out the nose for tuition. So, when I saw the pack this year, I had to nab it. For this beer in particular. I'm sure some of you know this about me (especially if you've been hanging around here since the blog went live): I love maple in my beer. All the more so when the maple is incorporated well. Way back in 1984, Jim Koch wasn't working in craft beer. But he saw room for improvement in the American beer scene, which was ruled by macro breweries, so he took his grandfather's beer recipe and brewed Sam Adams' flagship: Boston Lager. From it's small start in Koch's kitchen, as detailed on its "Our Story" page, Sam Adams has grown to the nation's premier craft brewery. Hell, there's even a Sam Adams branch here in Cincinnati. While I can't prove the Maple Red Ale I'm about to break into is from Cincinnati, I like to think it was. Speaking of Maple Red, it's official page divulges the following: it clocks in at 6.3% ABV and features notes of malt, vanilla, maple, and caramel. Off the top, I'm getting a hearty maltiness from Maple Red's aroma. Under that I'm finding maple (!) (which I love) and some vanilla. If I'm trying really hard I can suss out some caramel but it's not the showcase here. 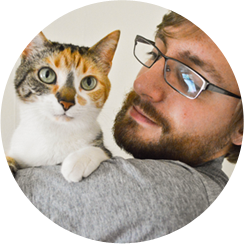 I really enjoy the aroma and, at seven whiffs, Purrl does, too. Just like the bouquet, the malt really comes through prominently in the ale's flavor. There's a caramelness that rushes in immediately after the malt in each swig. The maple and vanilla are both here, coexisting in the finish. The beer's mouthfeel has a little more oomph than I expected. It's bright and bubbly--it suits the flavor of the ale exceptionally well. One day during my undergrad, soon after Michelle and I started dating, I skipped class to take her hiking in Hocking Hills. It was an unseasonably warm day (much like today--it's the second full day of fall and in the mid eighties outside), but the valley we hiked in was considerably cooler. The trail we were hiking went on for miles, and we did miles of it. It was a brilliant early autumn day; the sun was shining and we had the trail to ourselves. I don't remember when we called it quits or what we did after the hike, but whatever our destination was wasn't important. The journey of the hike is what mattered. This beer is more about the journey than the destination. While I'm drinking Maple Red Ale, I forget that it's so damn hot outside. I forget that, even though it's technically fall, it doesn't feel like fall. That's wonderful. However, I am slightly disappointed that the maple in the ale doesn't carry it--the malt does. Before you say anything, yes, I'm aware that a lot of maple in a maple beer ferments out. The problem is that I've had more than a few maple beers where the maple is the core of the brew, and that gives me the highest expectations of each maple beer I drink. 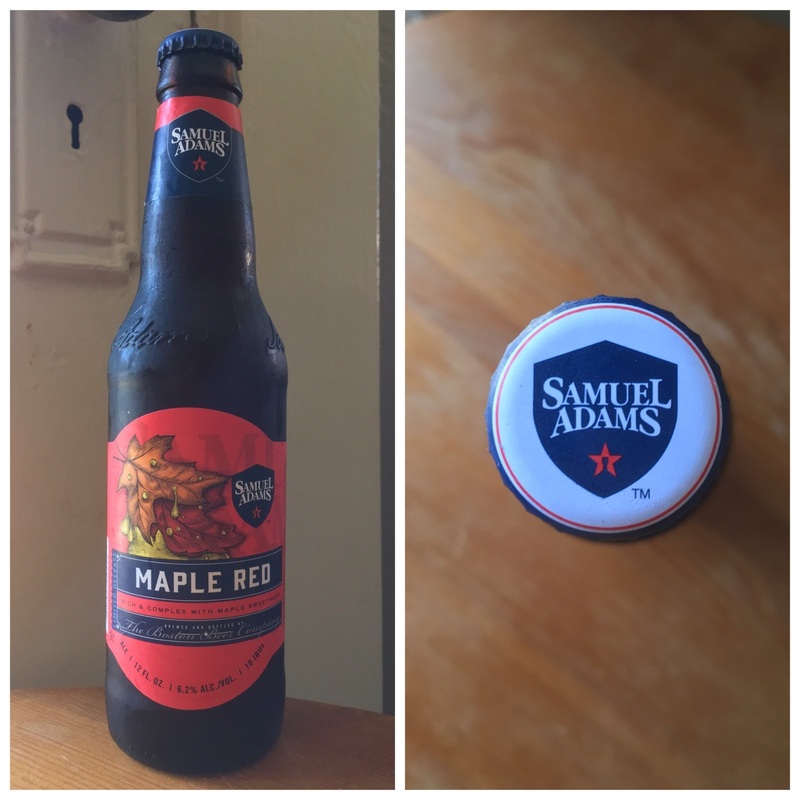 Sam Adams' Maple Red Ale is a good beer but it's not up to snuff for what I was anticipating. I'm giving it an 8.0/10. It's a great inclusion in the Boston Beer Company's fall sampler, just not necessarily something I'd buy on its own.